Karan Johar is all set to bring the second instalment of the Student of the Year franchise, that he kickstarted in 2012. The first SOTY film had given Bollywood three bright stars in Alia Bhatt, Varun Dhawan and Sidharth Malhotra. Student of the Year 2 has a couple of changes in some regards. Like, Karan Johar won't be directing this one; instead, Punit Malhotra is given the task. Also the male lead, Tiger Shroff is already established, with the female leads - Taran Sutaria and Ananya Panday - being the debutantes. So are you ready to back to college? Student of the Year 2: Tara Sutaria Rocks the Diva Look, All Set to Create a Storm in St Teresa; View Pic. With the release date of the film - May 10 - nearing, the makers have started their promotional campaign for Student of the Year 2. The trailer will arrive on April 12, but before that, Dharma Productions have been revealing posters of the films leads. We had seen those of Tiger Shroff and Tara Sutaria. Now it is time for the sprightly and pretty Ananya Panday. 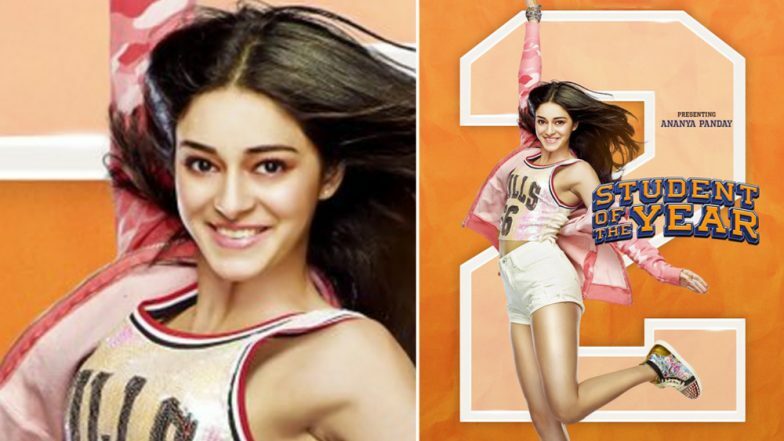 Ananya Panday, the daughter of actor Chunkey Pandey, is playing Shreya in the poster. The poster has her aiming for the skies, Superman-like. So will she be the Betty in this new-age Riverdale? Student of the Year 2 New Poster: An Athletic Tiger Shroff Will Make You Root For Him. Speaking more about the movie, Hollywood superstar Will Smith, of Men in Black and Independence Day fame, is having a cameo in the film. We recently saw a video he posted on his social media account, where he is seen dancing to the "Radha" song with Tiger, Tara and Ananya.